Is There a Difference Between Profit & Nonprofit Accounting? For the most part, for-profit and nonprofit accounting are the same, as they both incorporate debits and credits, payroll and other regular business processes. The difference comes in a nonprofit's extra level of bookkeeping, focusing on how the organization uses its resources to accomplish its mission, not on profits or investors' concerns. A nonprofit organization, unlike a for-profit business, neither has investors nor issues stock. It has stakeholders, donors and managers. Its nature is not to enrich anybody but to provide goods and services to a community. The term "net asset" is traditionally seen in nonprofit organizations' financial statements, rather than a for-profit's "retained earnings." Net assets can be classified as unrestricted, temporarily restricted and permanently restricted. There are no such classifications or concept in the for-profit sector. Unrestricted net assets may be used for operations in any area. Temporarily restricted net assets are a holding place for revenues received that are for specific programs or to be used in the future. Permanently restricted net assets are used for endowments and assets to be held in perpetuity. Deferred revenue is an account used by for-profits to record funds for goods and services not yet delivered. A nonprofit, on the other hand, uses the temporarily restricted revenue account. For example, if a for-profit receives $10,000 for future use for services, it makes a journal entry to increase both the cash and the deferred revenue accounts. When the same situation occurs for a nonprofit regarding donations, a journal entry is made to increase the cash account and the temporarily restricted revenue account. What Is a Fund Balance in Nonprofit Accounting? What Are the Advantages & Disadvantages of Profit & Nonprofit Organizations? Another peculiarity of nonprofit accounting that doesn't exist in the for-profit world is the concept of "release from restriction." Revenues booked as temporarily restricted have donor restrictions that eventually will be lifted. For example, a donor gives $1,000 to be used at a certain date. This amount is booked as temporarily restricted revenue. When the date arrives, then revenue is transferred to unrestricted net assets through the use of release from restriction accounts. The nonprofit records a journal entry to debit the temporarily restricted release from restriction account and to credit the unrestricted release from restriction account. Nonprofit reports differ from those of their for-profits counterparts. 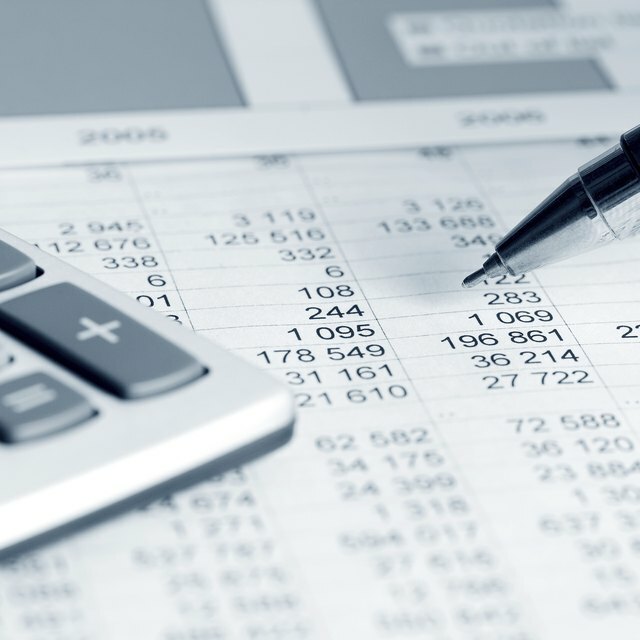 While for-profits issue balance sheets and income statements, nonprofits use statement of positions, statement of activities and, for some, a statement of functional expenses. The statement of position is similar to the for-profit balance sheet, except that instead of retained earnings, the statement shows net assets. A nonprofit's statement of activities is similar to a summary income statement showing expenses in three classifications: administration, programs and fundraising. Some nonprofits also file a statement of functional expenses, which shows expenses by type, such as rent and insurance. It is similar to an income statement, but with more columns, classifying the expenses as for administration, programs or fundraising. The reports seen in the nonprofit world, such as statement of position, activities and functional expenses, are not seen in the for-profit area. Nonprofit accounting is guided by FASB Statement of Financial Accounting Standards Nos. 116 and 117. Nonprofits usually don't have a revenue stream similar to that of a for-profit business, which gets funds through the selling of goods or services. Instead, a nonprofit receives donations and government and foundation grants. Unlike a for-profit, a nonprofit often needs to report on funds received. For example, if an organization gets federal funding, it must report on how the money was spent and it must comply with various rules. This can get very complex, which is why you may see specialized accountants in large nonprofits who are experts in certain funding sources.